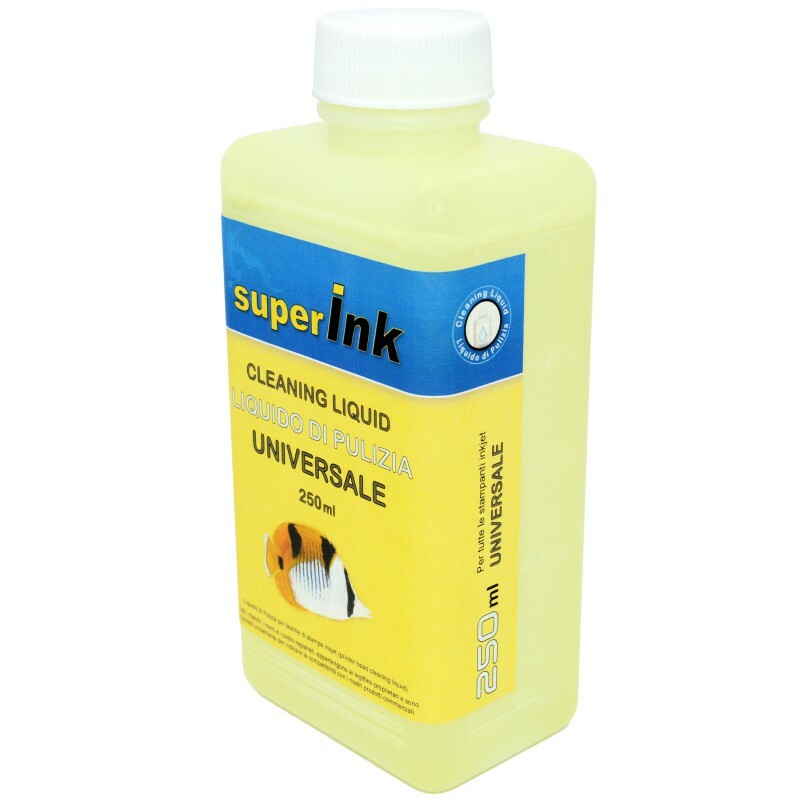 The Universal Cleaning Liquid superInk is suitable for all print heads with inkjet/bubblejet technology. 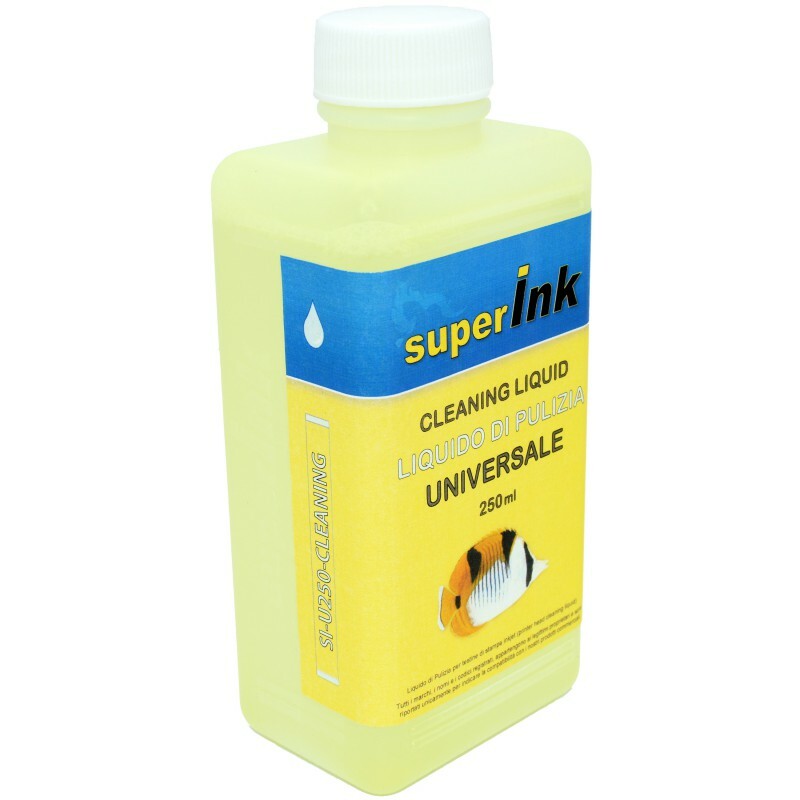 The main use is to remove residual ink and paper from the print head but, alternatively (and this we highly recommend it to those who recharge with inks of different brands!) can be used to efficiently keep the head through periodic maintenance. Recommend, in fact, use the cleaning fluid when you refill cartridges using different brands of ink. When you have to use the Cleaning Liquid? 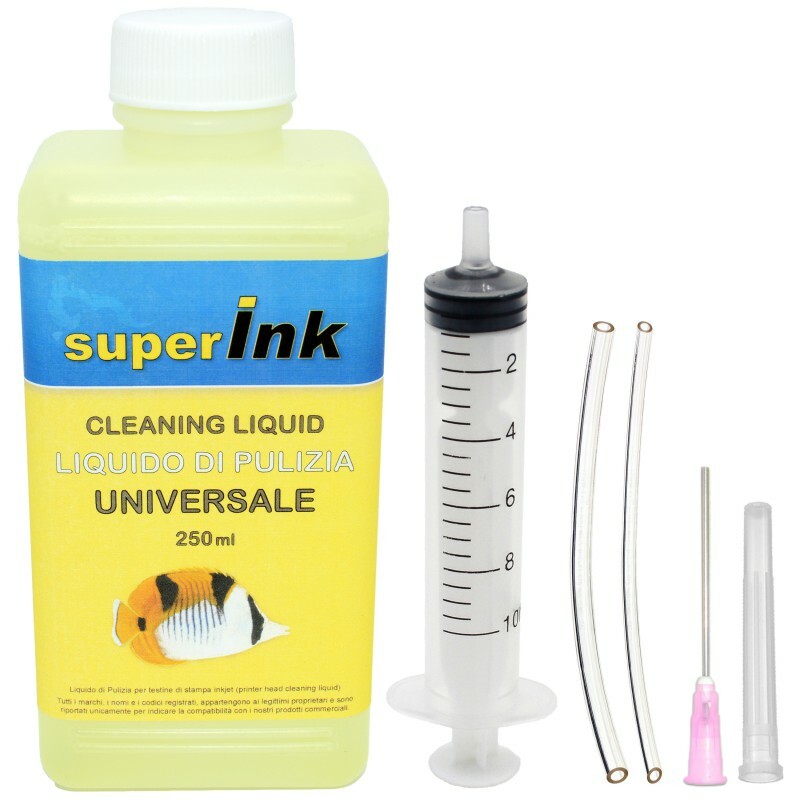 How do I use the Cleaning Liquid? 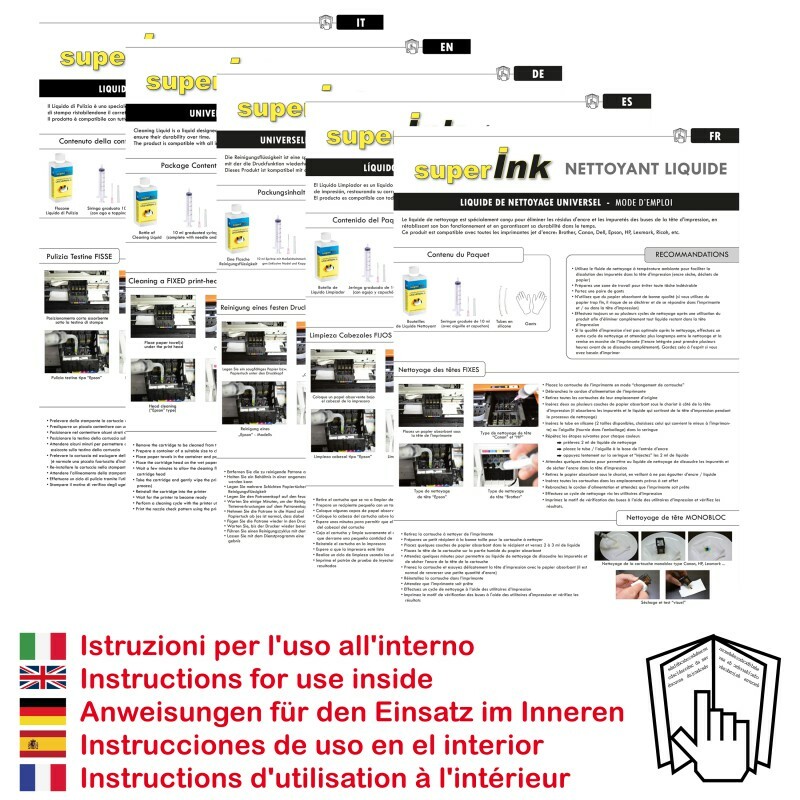 • FIXED print-heads (ie non-removable type Epson, Brother...): recommend removing the cartridges from the printer and few drops of liquid directly into the duct housing cartridges located in the printer. Wait a few minutes, reinsert the cartridges into the printer and make a test print to check the results. • REMOVABLE print-heads (eg all cartridges with head already included such as HP, Canon, Lexmark...): recommend moisten a soft cloth (hairless!) 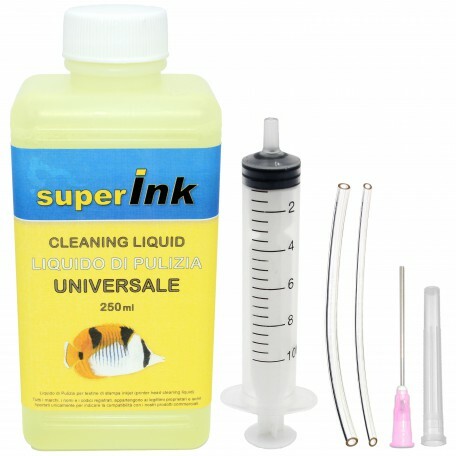 with a few drops of cleaning fluid and dab the printer head for 1 or 2 minutes. Dry the head, put it back in the printer and make a test print to check the results.